So I am on the hunt for a good radio due to the fact I would rather not use my work radio that costs $1200 to replace and I don't even know if I can use it to talk with people on the radios that people use at games because it's a duel band programmable radio. If anyone knows of one with good range or knows if I can use a duel band programmable radio to talk with players at games let me know. "That of which we allow to defeat us defines us, That which we over come against all odds, fear and expectations empowers us and designs us"
Umm what make/model is your dual band? I'd look into a Motorola Talkabout FRS radio. It's a XTS 5000 by Motorola but I also would most likely get fired for using it for things outher than work. I was looking at getting a BaoFeng BF-888 S UHF 400-470 MHz 5W CTCSS DCS Portable Handheld 2-way Ham Radio but I need to know if it will work with it or not? Most airsoft games/radios use FRS or GMRS frequencies. To be compatible, any radio you choose would have to be programmed to those frequencies. Your choice of 400-470 MHz UHF is the right bandwidth, but you'd have to set the exact channels to match up with standard FRS/GMRS "family" radios. The BaoFeng is an absolutely suitable replacement for any radio. Just remember to get your license to operate in GMRS frequencies. No, that doesn't stand for Green Mountain Ranger Super Frequency. The Motorola Talkabout is a good way to go. You can get them at Radioshack or any other place that specializes in radios. No , it isn't. A. You need an amateur license to use it. B. It is not FCC certified for GMRS use. C. THe band pass filters will only let it operate on the frequencies it was designed for. You can put any frequency you want into it and it will display that frequency but it neither transmits nor receives it. D. It is not particularly user friendly. It was designed as a business radio to be programmed by a technician then given to someone to use in the field. It is difficult to program for that reason. So a non technical user can't screw it up. Stick with a Motorola Talkabout. Baofeng is fine, a couple buddies of mine have em and they work great. I was going to say the same thing. Sounds like I should have explained everything I said to the "N". Sorry for the qudruplw post. Kept getting a message to try again later. Moved and had no Internet for a few days. And Genius ( a rather dubious name) if you are using a Baofeng or any other radio requiring a license without being properly licensed, yeah I would ( and some other amateurs who make it their hobby to ferret out unlicensed users) would have a problem with it. Mac, our licenses only authorize us to operate in the Amateur radio bands, and FRS/GMRS is outside of that band plan (see picture). Any privileges I might have on my allocated bands do not carry over to non-allocated bands like FRS and GMRS. However, that's a moot point, because even if they did, we would still have to abide by the band restrictions, meaning even we HAMmers are breaking the law if we're transmitting at an airsoft game with more than 0.5 watt, or with a removable antenna. Last edited by India; 07-25-2013 at 08:55 AM. To add, owning the radio is not illegal, only using it (transmitting) in a manner for which you are not licensed to, or that which is expressly outlined as prohibited in the law is illegal. Threads like this always amuse me, in that so many people seem to be ignorant to the fact that they are violating federal law, and that they openly admit it on a public forum. Last edited by D_Man; 07-25-2013 at 09:24 AM. Lesson of the day: Never admit to anything. Ever. India and D Man, you're preaching to the choir brother. The OP wanted to get a Baofeng and I suggest that it wasn't a good idea as it isn't FCC certfied for FRS/GMRS use and he would need a license anyway. It's also not user friendly, I know, I have one. BTW just missed my General by 2 questions a few weeks ago. You don't have to. 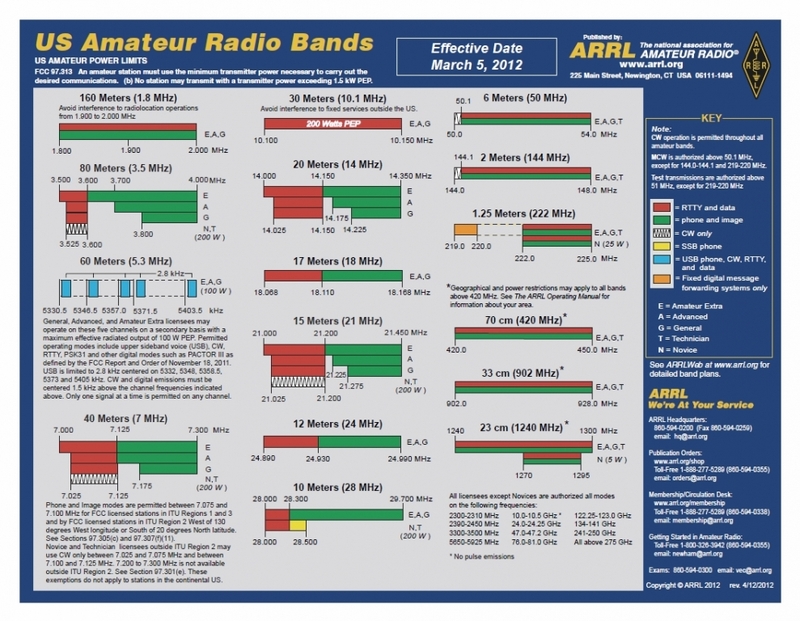 There is a group of amateur radio operators, called Official Observers, that make it their hobby to ferret out unauthorized radio transmissions. They are empowered by the FCC to do this. You won't even know it until Uncle Charlie knocks on your door and hands you a Notice of Aparrent Liability. It's not a ticket, It's a bill.